The main focus of this article is on Scottish practice, with some reference to Ireland. There is a wealth of lore surrounding childbirth and the first few days of an infant’s life and much of it appears to have only thinly veiled pre-Christian roots. According to tradition, childbirth and the first few days of the newborn’s life – as well as the mother – are precarious. In the time before medical advancements and understanding improved the survival rates of both mother and child there were many concerns that were seen as potential threats to their well-being. For the Gaels, these were not just medical concerns like complications during labour, infections, premature babies, difficulties in breastfeeding and so on, but underlying it all there was the belief that supernatural, Otherworldly agents were a threat as well – from fairies, witchcraft or the evil eye.1 These concerns aren’t as explicitly articulated today, but nonetheless they are there as an ever-present undercurrent. In the remotest parts of Scotland a priest wouldn’t always be readily available, since he would serve a wide area and service each community on a continuing circuit. In some places it could take years for a priest to visit7 and so this is likely to have been a large factor in the continuing practice of lay baptisms. Some clerics regarded these rites as being too pagan and tried to discourage them from being performed, and eventually, as the belief in fairies and the inherent dangers they represented began to loosen their grip on tradition, so did the traditions associated with them. Naturally one might assume that milk was more likely to have been used by richer families, since it would have been more readily available to them, and its associations with purity would do well for the occasion. It would also act as a sympathetic form of magic, a blessing of prosperity using the very symbol of it according to the Irish economy. We know from some of the hagiographies (“Saint’s Lives”) of Brigid that she was baptised in milk herself, just after she was born in a doorway as her mother was carrying milk inside the house. The Life of Saint Brigit (Bethu Brigte) clearly states that this was appropriate, since “…that was in accord with the merits of Saint Brigit, to wit, with the brightness and sheen of her chastity,”9 which could be an attempt to spin a pagan practice into a more acceptable light. Who better to use as an example of this than a saint with pagan roots? Certainly the practice of using milk, rather than water, was considered to be heretical in Christian baptism,11 although feeding the newly baptised person milk and honey was not unheard of in the early Christian church (however, it must be stressed that this is dangerous and not in any way to be advised).12 Considering Brigid’s pre-Christian origins and intimate associations with milk and dairy produce in even the earliest hagiographies13 it’s tempting to see the use of milk as genuinely rooted in pagan practice, with the Biblical example from the Song of Solomon being brought in to help justify it in a more acceptable light, just as Brigid’s own baptism does. Sources for Scotland tend to be somewhat later, but we can see here that similar rites were carried out and that there are also a lot of similarities in the beliefs and customs for both Ireland and Scotland in general, and clearly (and unsurprisingly) they share a common heritage. From the time the mother went into labour, however, the sense of danger from the supernatural increased; as the labouring woman was in the process of giving birth she was in a liminal, in-between phase of life (as was the baby), which left her vulnerable. 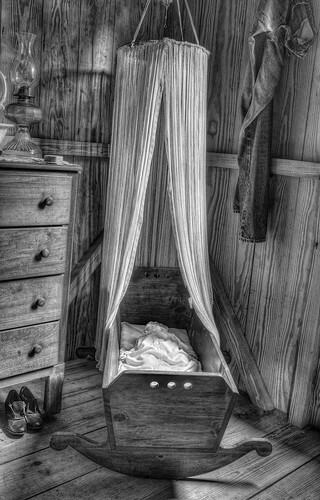 The howdie also played her part in ensuring the safety of the child and mother – given their especial vulnerability and the fact that witches could use any part of a person’s body to perform witchcraft against them (and were often blamed for the death or illness of the mother or child) – and so care was taken for the placenta to be buried or burned.29 It seems likely that since the placenta was effectively a part of the mother and child, to simply throw it out would also be effectively showing a lack of care for them, and as on Quarter Days, the idea of throwing something so important out would be effectively throwing away ones’ health or wealth. “MB: Did they have a special treatment for the cord – the navel? MC: They had tae burn cloots [cloths] for the cord. They burnt it in the fire. And they take the piece of stuff that was left, that wisnae burnt, and take the piece of stuff that wis hauded taegither and pit it on the bairns naveal. MB: Like, it was burnt cloth they put on the navel? MC: Yes. That’s whit they done. MB: What did you do with the piece that fell off? MC: Oh, we just buried it – we chiefly buried it outside. MB: Now who would do that? Carmichael records a slight variation, whereby (shortly after birth) the infant was handed to and fro across a fire from the midwife to the father, as blessings were said “in an almost inaudible murmur.”43 The child was then carried round the fire three times sunwise with further words of blessing being said. A great procession was often made to the church on the occasion of the child’s baptism – although it was not unheard of for the baptism to take place at home, with the priest making use of a special bowl that was set aside for the 44 Perhaps this was done in order to keep costs down, since a church baptism could be expensive. Both fire and water were therefore integral elements in the rites to protect and bless the baby and mother, as they were in other occasions that called for saining. Dairy products – especially cheese – also figure heavily, since it was seen as good protection against unwanted attention from fairies. It was often carried by travellers to help keep them on the right path and not be misled by the thick mists that were common in the Highlands and Islands. 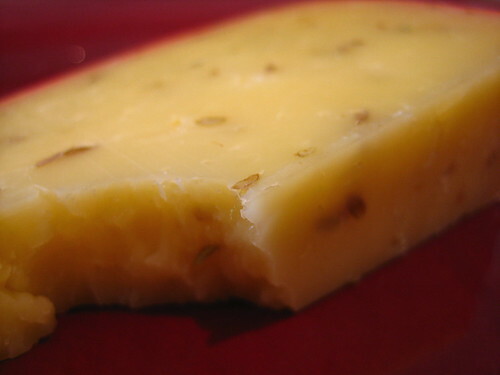 When the birth of a baby was imminent, the family would buy a whole cheese in expectation of the happy arrival and it was important that the cheese should be whole, and only cut by the howdie (midwife) once the baby was safely born.47 This cheese – the cryin’ kebback – then formed a part in the merry meht, blide-meat (blithe-meat), joy feast,48 féisd baistidh or cuirm baistidh,49 a celebratory feast that usually took place after the baby was baptised in church. Everyone was expected to partake of the bread and cheese, and to refuse to do so would cause great offence – it would be seen as ill wishing against the baby.55 Likewise, anyone meeting a party on their way to or from a church baptism was expected to walk a little with them, at the least, in order to wish the baby well. Care was taken to praise the baby upon seeing it for the first time, but it was important to not praise it too highly or without giving it a blessing as well. To do so would indicate covetousness, a prime cause of the evil eye, and so it would be taken as an insult. To guard against the eye, “it would be well to reply, ‘A black spot on your eye, and may the dog take it off.’”56 Or else someone could spit in the child’s face three times, as mentioned above. 1 Napier, Folk Lore, Or Superstitious Beliefs in the West of Scotland Within this Century, 1879, p21; Ó Súilleabháin, Irish Folk Custom and Belief, 1967, p44. 2 Black, The Gaelic Otherworld, 2005, p19-20; Ó Súilleabháin, Irish Folk Custom and Belief, 1967, p44. 3 Carmichael, Carmina Gadelica, 2006, pp2-5. 4 Carmichael, Carmina Gadelica Volume 2, p114; Napier, Folk Lore, Or Superstitious Beliefs in the West of Scotland Within this Century, 1879, p21. 5 Napier, Folk Lore, Or Superstitious Beliefs in the West of Scotland Within this Century, 1879, p21. 6 Gregor, Notes on the Folk-Lore of the North-East of Scotland, 1881, p7. 7 Carmichael, Carmina Gadelica Vol III, 2006, p5. 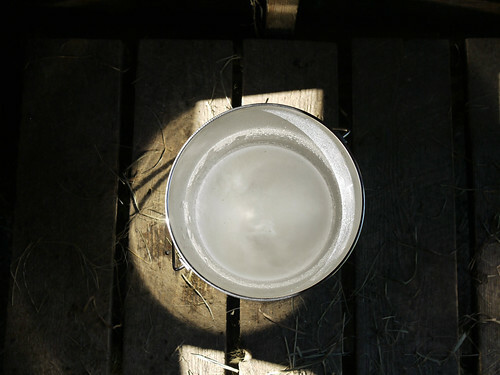 8 Milk Symbolism in the Bethu Brigte by Tomas Torma. 9 Stokes, On the Life of Saint Brigit (Leabhar Breac). 10 Stone, Holy Baptism, 1917, p266. 11 Stone, Holy Baptism, 1917, p131. 12 Everyman’s History of Prayer Book. 13 Davies, Celtic Spirituality, 1999, p122. 14 Bennett, Scottish Customs from the Cradle to the Grave, 1992, p18. 16 Gregor, Notes on the Folk-Lore of the North-East of Scotland, 1881, p4. The belief that a pregnant woman would take on the labouring woman’s pain can also be found in Irish sources – Lady Gregory. 17 Black, The Gaelic Otherworld, 2005, p19-20. 18 Bennett, Scottish Customs from the Cradle to the Grave, 1992, p18. 19 Evans-Wentz, The Fairy Faith in Celtic Countries, p87. Napier, Folk Lore, Or Superstitious Beliefs in the West of Scotland Within this Century, 1879, p20. 21 Black, The Gaelic Otherworld, 2005, p19-20. 22 Napier, Folk Lore, Or Superstitious Beliefs in the West of Scotland Within this Century, 1879, p24. 23 Ó Súilleabháin, Irish Folk Custom and Belief, 1967, p44. 25 Scottish Charms and Amulets. 26 Hedderman, Glimpses of my life in Aran, 1917, p104. 27 Polson, Scottish Witchcraft Lore, 1932, pp176-177. 28 Carmichael, Carmina Gadelica Volume I, 1900. 29 Simpkins, County Folk Lore Volume VII, 1914, p396. Bennett, Scottish Customs from the Cradle to the Grave, 1992, p33. Interview with Mrs Margaret Ann Clouston, aged 105, from Kirkwall, Orkney, on 24th May, 1985. 30 Bennett, Scottish Customs from the Cradle to the Grave, 1992, p33. Interview with Mrs Margaret Ann Clouston, aged 105, from Kirkwall, Orkney, on 24th May, 1985. 31 Carmichael, Carmina Gadelica Volume III, 2006, pp7-9. See pp2-23 for various descriptions of baptismal sainings/blessings. 32 Bennett, Scottish Customs from the Cradle to the Grave, 1992, p18. 33 Napier, Folk Lore, Or Superstitious Beliefs in the West of Scotland Within this Century, 1879, p20. 34 Pennant, A Tour of Scotland, p115. 35 MacInlay, Folklore of Scottish Lochs and Springs, 1893, pp98-101. 36 See Book II, 10-11, pp160-161 with accompanying notes on pp322-323, in Sharpe, Adomnan of Iona: Life of Saint Columba, 1995. 37 Simpkins, County Folklore Vol VIII, 1914, p397. 38 Bennett, Scottish Customs from the Cradle to the Grave, 1992, p30, quoting J J Vernon and J McNairn, Pictures from the Past of Auld Hawick, 1991, p89-91. 39 Napier, Folk Lore, Or Superstitious Beliefs in the West of Scotland Within this Century, 1879, p21. 40 Martin, p117-118. In Curiosities of Art and Nature: The new annotated and illustrated edition of Martin Martin’s classic A Description of the Western Islands of Scotland, by Michael Robson, 2003. 41 Martin, p117. In Curiosities of Art and Nature: The new annotated and illustrated edition of Martin Martin’s classic A Description of the Western Islands of Scotland, by Michael Robson, 2003. 42 Gregor, Notes on the Folk-Lore of the North-East of Scotland, 1881, p7. 43 Carmichael, Carmina Gadelica Volume III, 2006, p2. 44 Bennett, Scottish Customs from the Cradle to the Grave, 1992, p55. 45 Bennett, Scottish Customs from the Cradle to the Grave, 1992, p58. 46 Bennett, Scottish Customs from the Cradle to the Grave, 1992, p62. 47 Bennett, Scottish Customs from the Cradle to the Grave, 1992, p30, quoting J J Vernon and J McNairn, Pictures from the Past of Auld Hawick, 1991, p89-91. 48 Bennett, Scottish Customs from the Cradle to the Grave, 1992, p19, quoting John Firth, Orkney, 1920. 49 Carmichael, Carmina Gadelica Volume III, 2006, p5. 50 Bennett, Scottish Customs from the Cradle to the Grave, 1992, pp58-59, quoting from Domestic Annals of Scotland 1885, pp224-225. 51 Gregor, Notes on the Folk-Lore of the North-East of Scotland, 1881, p6. 52 Bennett, Scottish Customs from the Cradle to the Grave, 1992, p48. 53 Pennant, A Tour in Scotland and Voyage to the Hebrides, (Volume II, p45-6). 54 Guthrie, Old Scottish Customs, 1885, p64. 55 Bennett, Scottish Customs from the Cradle to the Grave, 1992, p19, quoting John Firth, Orkney, 1920. 56 Polson, Scottish Witchcraft Lore, 1932, pp174-175. 57 Gregor, Notes on the Folk-Lore of the North-East of Scotland, 1881, pp11-13. 58 Carmichael, Carmina Gadelica Volume III, 2006, p5. 59 Gregor, Notes on the Folk-Lore of the North-East of Scotland, 1881, pp11-13. 60 Bennett, Scottish Customs from the Cradle to the Grave, 1992, pp43-44. This is still practised today as I found out after I had my daughter. Living in Bo’ness, a lot of people (generally older) would put a coin in my daughter’s hand or her pram whenever we went out. “For luck,” they would say. 61 Gregor, Notes on the Folk-Lore of the North-East of Scotland, 1881, pp11-13. 62 Bennett, Scottish Customs from the Cradle to the Grave, 1992, p68. 63 Black, The Gaelic Otherworld, 2005, p134. 64 Bennett, Scottish Customs from the Cradle to the Grave, 1992, p65. 65 Carmichael, Carmina Gadelica Volume 1, 1900, p114.